Critically apply content knowledge to real world situations and tasks. Work effectively both individually and as part of a team to accomplish professional tasks. Understand and exhibit the professional ethics and responsibilities relevant to the field of Sport Administration. Understand and exhibit the role of professional development and continuing education as part of the industry. Students should complete a formal application to the Sport Management program through the Sport Management Program Coordinator during the spring of their first year or fall of sophomore year. Transfer students and upperclassmen may also apply and will be readily considered. 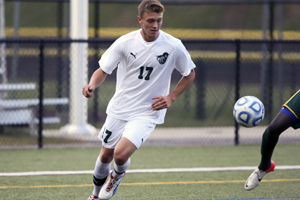 General information and criteria for selection to the program are published in the Sport Administration Program Handbook and on the Castleton University website. Students must complete a minimum of 28 credits, including PED 1350 - Introduction to Sport Management , BUS 1270 - Principles of Computer-Based Information Systems , as well as having at least a 2.3 GPA overall to be considered for the program. The possibility of an interview to be admitted to the program will be on an as needed basis. The culminating experience of PED 4811 - Internship in Sport Management will also require a formal application process. Students can apply for internship after completing 75 credits overall (during Junior year), 30 credits in the Sport Management (SM) core, have a 2.5 GPA overall and 2.7 in the SP Core. To be formally approved and eligible to enroll in PED 4811 - Internship in Sport Management a student must have completed 90 credits overall, 35 credits in the required core, maintained the aforementioned GPA requirements, and submit an approved pre-approval application. Relevant courses may be considered for substitution in any of the above tracks with Program Coordinator approval.